It’s definitely cold here in Australia and I cannot think of anything better than snuggling up with some books over the weekend! I’m very excited about another weekend spent reading! Excited!!! Perfect timing to wrap up last minute reads for the month! Seriously thinking about signing up! This would be my first readathon! Do it! It’s such a good time and it really is low pressure. I officially signed up tonight!! Finally gonna take the time to do it! Will read my best! My first Readthon and I can’t wait to get started. yeah may be i already started 😀 ! I will be loosely participating. Hoping to knock out some of my TBR list. I will be in a “no service” area this weekend, but will definitely update my progress when I return to IG. Wow! This is awesome! 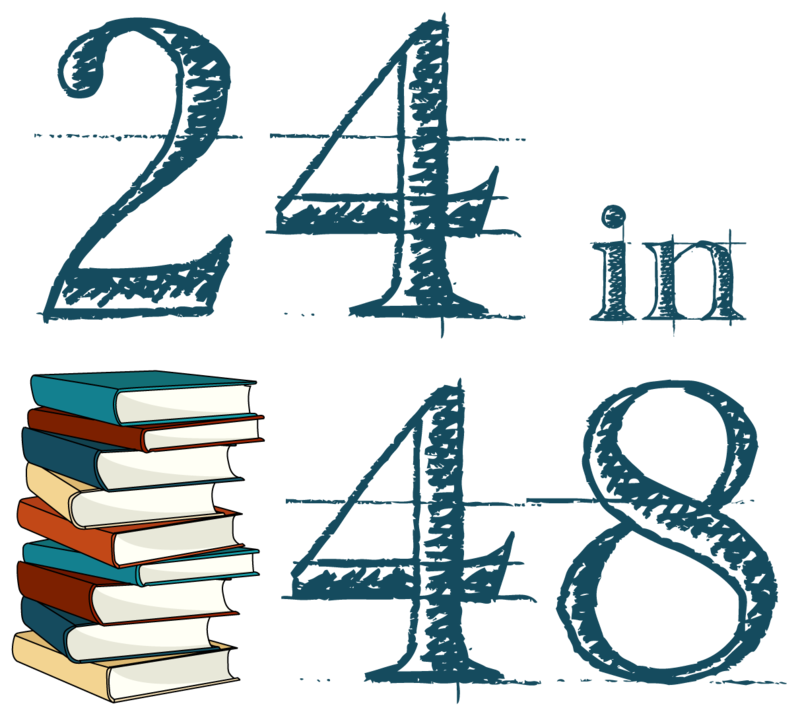 Have you heard about the #24in48 readathon? I just discovered it. Basically, you read for 24 hours during the 48 hours of July 22-23. Want to join me? For more details, check the link. Just heard about this today and I am in! I don’t know how well I will do, but I’m going to try my best!